Front of the house employees have to provide excellent service and are the face of the hospitality and tourism businesses. Several people who work in the hospitality industry and deal with the public regularly are interviewed in this program. Some of the occupations that are interviewed include food-and-beverage staff, bellhop, duty manager and others. Front of House Service Jobs � The front of house jobs include receptionist, porter, and other jobs that involve interaction with the public. Workers in these professions must have excellent customer service and communication skills, as well as active listening skills. Service Industry: Receptionist and Porter � Receptionists and porters must have good attitudes and they are the face of their business so they must leave a good impression with customers. Time management skills and negotiation skills are important for receptionists. Service Industry: Food and Beverage Staff � Food and beverage staff must have an attention to detail, good manners, and a positive attitude. They must have good non-verbal and verbal communication skills, as well as a good knowledge of wine and food, first aid, and emergency procedures. 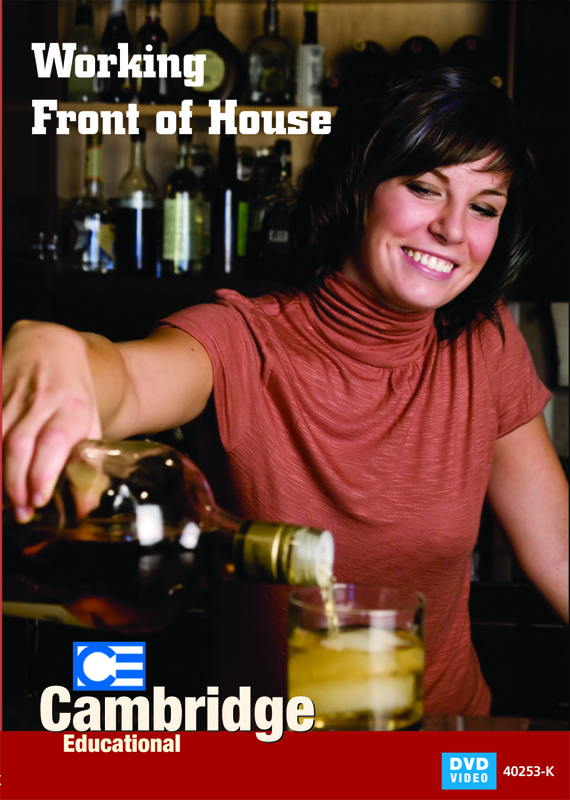 Service Industry: Front of House Careers � Explains how to apply for front of house careers including submitting an appropriate cover letter and resume and how to go through the interview as well as induction.